The Lumix FZ330 / FZ300 keeps the earlier FZ200's 24x / f2.8 lens and 12 Megapixel MOS sensor, but upgrades the image processor, viewfinder and screen, along with adding support for 4k video and sealing the body against dust and moisture. There's no question the FZ330 / FZ300 will be an attractive proposition for anyone looking for a higher-end super-zoom without breaking the bank. But also consider stepping that bit further to the Lumix FZ1000 which quadruples the sensor size to a 1in type for much better quality. The Panasonic Lumix FZ330, or FZ300 as it’s known in North America, is a high-end super-zoom camera with a 24x optical range and constant f2.8 focal ratio. Announced in July 2015, it’s the successor to the FZ200 launched three years previously. The FZ330 / FZ300 shares the same 25-600mm equivalent zoom range as its predecessor, along with the constant f2.8 focal ratio and 12 Megapixel 1/2.3in MOS sensor behind the scenes. The stabilisation is now improved and the newer Venus Engine image processor claims better quality along with in-camera RAW development and adjustable highlight and shadow tone curves from the Lumix G series. The FZ330 / FZ300 also supports 4k UHD video at 25 or 30fps and 4k Photo, along with retaining the 1080 / 50p / 60p and 720p at 120fps of its predecessor. The AF system now operates under lower light levels down to -3EV and supports Depth by Defocus to deliver quicker response and better continuous AF. Many of the improvements concern the body which is now more rugged with dust and splash-proofing, sports twin control dials, a slightly more detailed and much larger electronic viewfinder image (1440k dot OLED with 0.7x magnification vs 1312k dot LCD with 0.46x on the FZ200) and an eye sensor to switch the screen off. The screen remains 3in and fully articulated, but is now also higher resolution (1040k dot vs 460k dot) and more importantly becomes touch-sensitive, a feature that was sorely absent on the FZ200. As a modern camera, the FZ330 / FZ300 is also equipped with Wifi, and while there’s no NFC, there are QR codes for quick configuration. I tested the FZ330 / FZ300 alongside Sony’s premium bridge super-zoom, the RX10 II. While its 8.3x 24-200mm zoom lacks the reach of the FZ330 / FZ300, it has a phyically larger 1 inch sensor which is also higher resolution with 20 Megapixels Both the RX10’s screen and electronic viewfinder boast higher resolutions than the FZ330 / FZ300 and as well as 4k UHD video it supports a raft of slow motion HFR modes. The RX10 II costs around twice the price of the FZ330 / FZ300; it’s undoubtedly a better quality camera, but is it twice as good as the FZ330 / FZ300? Or to put it another way, with three times the zoom range at less than half the cost, what’s not to like about the FZ330 / FZ300? Read my full review to discover which of these two bridge superzooms is the best option for you. The Lumix FZ330 / FZ300 looks and feels altogether more robust and capable than the earlier FZ200. The body is bigger and a little heavier, it feels sturdier and the control layout has become more complex. In my hands at least, the FZ330 / FZ300 makes for a very snug fit, with the contouring on the grip and thumb rest perfectly fitting the shape of my right hand. The body is sealed providing protection from the elements so you don’t need to worry too much about rain. Manufacturers are typically vague about the degree of protection you can expect form sealed bodies, in Panasonic’s case they describe the FZ330 / FZ300 as ‘splash / dustproof’. I used it in light rain as well as on the beach with no problems, but there’s no point in exposing a camera to the elements unnecessarily so my advice would be to keep it covered if possible, but not to worry about the occasional splash. The top panel of the FZ330 / FZ300 has gained a control wheel, this isn’t a new addition but rather a redesign of the old thumb wheel which protruded from the back of the FZ200. It’s a lot more substantial and feels a little bit more professional. It also takes up quite a bit of room but despite that the FZ330 / FZ300’s top panel isn’t cluttered and in fact looks less fussy than the earlier model. The mode dial is also bigger and the second custom position is replaced with a dedicated spot for panoramic shooting. The movie button occupies the same position just behind the shutter release and there are two programmable function buttons, Fn1 doubling up as the default exposure compensation button. As before, the FZ330 / FZ300 has stereo mics located in the flash head, but the big grilles that covered them are gone and the the only evidence of their existence now is two small holes. On the left side of the lens barrel, conveniently situated for your left thumb there’s a second zoom rocker and behind that where the FZ200’s focus selector switch used to live there’s now a second control dial. I’ll talk more about how that works in the shooting experience section below. For now though, just to note that the button for selecting macro focussing is still here, but the focus mode selector has moved to the rear panel on the right side of the viewfinder. On the left of the viewfinder there’s another programmable function button labelled Fn4 on the button itself and EVF below it. As you might expect, in the default setting this toggles the live view display between the rear screen and the electronic viewfinder. Now that the FZ330 / FZ300 has an eye sensor there’s a third option which is to let the sensor do the work of deciding which display to use – a very welcome improvement over the exclusively manual switching on the FZ200. On the other side of the viewfinder the FZ200’s AF/AE lock button has been augmented with a collar style switch for selecting the focus mode. Further down and to the right of the screen there’s the largely unchanged four-way controller. As before, the four cardinal points are assigned to ISO, white balance, self-timer/drive modes and AF area position. Finally, there’s the Q-menu button right at the bottom which also doubles as the Fn3 programmable function button. In terms of their size and styling, the Lumix FZ330 / FZ300 and Sony RX10 II look quite similar; the RX10 II is a little more compact, but at 813g is heavier than the 691g Lumix FZ330 / FZ300. Sony describes the RX10 II as ‘dust and moisture resistant’ so we can only guess at how that compares in practical terms to the ‘splash / dustproof’ Lumix FZ330 / FZ300, but it would be reasonable to suppose that the occasional shower won’t do it any harm. Though they look similar, there are significant differences in their respective control layouts. Most obviously, the RX10 II has a dedicated aperture ring and an exposure compensation dial. It also has a DSLR-style LCD top panel which provides exposure information among other things. The RX10 II has a separate card compartment as well as connections for headphones and an external microphone (the FZ330 / FZ300 has a mic socket but not one for headphones). All of these things combine to give it a slightly more professional feel than the Lumix FZ330 / FZ300. The combined USB / A/V port and mini HDMI connectors are located under a soft flap on the right side of the body, where you’ll also find a socket for the optional DMW-RSL1 cable remote. The external microphone socket is in the same place as on the FZ200 – on the left side under a small soft plastic cover, and it’s a standard 3.5mm jack. On the base of the camera, the door to the combined battery and card compartment is located on the right under the grip. As before, the FZ330 / FZ300 uses a BLC12E Lithium Ion battery with a power rating of 1200mAh. This provides sufficient power on a full charge for 380 shots when using the screen 20 fewer if you exclusively use the viewfinder. Remaining battery life is indicated on screen by a three-segment graphic. This is quite a drop on the 540 shots quoted for the FZ200, doubtless the higher resolution screen and viewfinder are responsible, but 380 is a respectable number and compares with the 400/360 figure quoted for the RX10 II. The built-in flash has a range of 8.8 meters, (note that because of the FZ330 / FZ300’s constant aperture, that applies throughout the zoom range). The ISO sensitivity at which this is achieved isn’t stated, but if you’re comparing this with the 13.5m figure quoted for the earlier FZ200, rest assured that the flash power hasn’t halved, it’s simply based on a lower ISO rating. When set to auto mode, the flash pops up when required. Red-eye flash modes fire a pre-flash to contract people’s pupils before the main flash and activating software Red-eye removal – though this only works with Face detect AF. You can force the flash on or off and there’s a slow sync mode with first and second curtain options. The Lumix FZ330 / FZ300 also has a standard hotshoe to which you can attach an external flash. The FZ330 / FZ300’s screen has been updated with a higher resolution 1040k dot LCD panel replacing the older model’s 460k dot screen. More importantly, the new screen is touch-sensitive and can be used to select the AF area as well as make menu selections. As on the FZ200, the screen is side-hinged, so you can angle it in any direction including forwards for self-shooting and can also fold it inwards to protect it when not in use. The screen is 3:2 proportioned, so there are narrow black bars down either side when shooting stills in the sensor’s native 4:3 proportions; conversely when shooting 16:9 HD video you get narrow black bands top and bottom. For comparison, the screen on Sony’s RX10 II only tilts vertically, is not touch-sensitive, and employs a 4:3 shape which means native 3:2 images and especially 16:9 video are letter-boxed. The Lumix FZ330 / FZ300’s electronic viewfinder is also upgraded with a 1440k dot OLED with 0.7x magnification replacing the FZ200’s 1312k dot LCD with 0.46x. Where you previously had to manually toggle between the screen and EVF there’s now a sensor that makes it happen automatically should you desire. There are two sensitivity settings for the sensor, but even on the low setting I found to was all to easy to lose the screen image by inadvertently placing my hand near the viewfinder. If that becomes a problem though, you can use the Fn4 button next to the viewfinder to switch permanently to one or the other. The viewfinder image is bright and stable. I didn’t notice any perceptible lag or jittering, but there is the option to increase the live view frame rate to 60fps from the default 30fps. Unlike the screen, the EVF is 4:3 proportioned so the image completely fills it with exposure and other information overlaid along the top and bottom edges. If you don’t like your view cluttered with information overlays you can opt for a reduced viewfinder area with the exposure information on a black strip at the bottom. And as with the screen, pressing the display toggles between a clean uncluttered view with only basic exposure details, the full info view, full info with an electronic level or the minimum info display with the level. You can also select from a choice of grids and a live histogram display from the custom settings menu. As you might expect, the higher resolution 2.3 million dot EVF in the Sony RX10 II provides a visibly more detailed view, and it’s bigger and brighter too. So the RX10 II’s viewfinder is visibly superior all round to the FZ300 / FZ330’s but don’t think any less of it for that. It’s still an excellent EVF and a big improvement over the earlier FZ200’s. 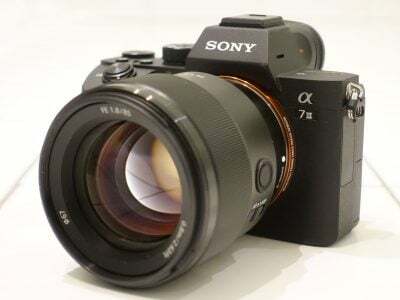 I could comfortably use it for long periods and it’s only by comparison with the – far more expensive – RX10 II that you become aware of its limitations. To end on a positive note, the FZ330 / FZ300’s EVF has a much better eye cup that the RX10 II’s, it’s very comfortable and does a great job of blocking extraneous light. Plus don’t forget the fact the Lumix enjoys the compositional benefits of a fully-articulated touch-screen. The FZ330 / FZ300 sports the same 25-600mm equivalent f2.8 lens introduced on the FZ200 back in July 2012. Even then, the 24x range was modest for a bridge super-zoom, but the constant maximum aperture which remains at f2.8 throughout the zoom range was and remains a very useful feature. Here’s an examaple of the coverage on offer with the optical zoom on the FZ330 / FZ300. Above left: Panasonic Lumix FZ330 at 600mm equivalent. Above right: Sony Cyber-shot RX10 II at 200mm equivalent. Above left: Panasonic Lumix FZ330 at 600mm equivalent 12 Megapixel original image. Above right: Sony Cyber-shot RX10 II at 200mm equivalent 20 Megapixel original cropped to 12 Megapixels. The other issue is depth of field. The need to stop down as you zoom in also reduces the ability to achieve a shallow depth of field. So being able to keep the lens aperture open to f2.8 all the way to the the FZ330 / FZ300’s maximum 600mm equivalent focal length allows you to get better results in low light as well as better isolating your subject with a shallow depth of field. One thing to bear in mind, though, is that the longer zoom on the FZ330 / FZ300 would allow you to move further way from the subject and choose a longer focal length, which would produce a shallower depth of field, albeit with a different perspective. Here’s a couple of examples where using a longer focal length on the FZ330 / FZ300 has reduced the depth-of-field. The price you pay for the FZ330 / FZ300’s constant focal ratio is a zoom range that’s shorter than you’ll find on many comparably priced bridge super-zooms which boast 50x or greater ranges extending to 1200mm or more – double the FZ330 / FZ300’s reach. The question then is will 600mm be long enough for you and the answer of course depends on the kind of photography you plan on doing. 600mm is long enough for most sports, though if you’re in a big stadium a long way from the action you’ll find it wanting. You can also get great wildlife shots at 600mm, though, again, some subjects, like small birds will appear very small in the frame even at the maximum range. Like the Lumix FZ330 / FZ300, the RX10 II’s has a constant f2.8 maximum aperture. Compared with the 8.3x zoom on the Sony RX10 II though, the FZ330 / FZ300’s range is huge. The RX10 II’s zoom is good for portraiture and will get you close enough to subjects that are within tens of metres, but it won’t be suitable for most sports or wildlife subjects other than shots from the touchline or at the zoo. Above left: 100% crop, 4.5-108mm at 108mm, 1/20, 100 ISO, IOS off. Above right: 100% crop, 4.5-108mm at 108mm, 1/20, 100 ISO, IOS on. The FZ330 / FZ300’s stabilisation has been upgraded to support 5-axis correction when shooting video up to 1080p. For stills shooting the O.I.S optical image stabilisation system is essentially unchanged from the earlier FZ200. To test it I put the FZ330 / FZ300 in Shutter priority mode and zoomed the lens in to its maximum 600mm equivalent focal length before taking a series of shots at progressively slower shutter speeds first with the stabilisation disabled, then with it turned on. As you can see from the crops above I was able to avoid camera shake down to 1/20th. That’s a respectable four stops. Keen eyed readers will note that I was able to get sharp results with the FZ200 at 1/10th. That doesn’t mean the FZ3300 FZ300’s stabilisation isn’t as good, these are real world tests and other factors come in to play, not the least of which is how steady you can hold the camera. On the day, I wasn’t able to get a sharp shot at 1/10th with the FZ330 / FZ300. Like its predecessor, the FZ330 / FZ300 has 1080p HD movie modes at 25 and 50 frames per second in PAL regions and 30 and 60 fps in NTSC regions. It also supports 4k UHD video at 25 or 30fps along with Panasonic’s 4k Photo mode – a fun way of exploiting the fact 4k video captures an 8 Megapixel image up to 30 times a second. The clever part is Panasonic equips its 4k Photo cameras with software that lets you easily capture bursts of video before scrolling through the footage and extracting the perfect frame as a JPEG image, all in-camera. You could of course frame grab from video externally, but Panasonic has made it easy to perform the whole process in-camera. Gordon’s gone into more detail about 4K Photo in his Lumix GX8 review. Returning to the FZ330 / FZ300’s movie modes, the 4k options record Ultra High Definition video (3840×2160 pixels) at 25 or 30fps depending on region, and at a bit rate of 100Mbit/s in an MP4 wrapper. There’s also a 24fps option encoded at 100Mbit/s. Moving on, the FZ330 / FZ300 records 1080p at up to 28Mbit/s in AVCHD or MP4 modes. In addition to 1080p50/60, the MP4 modes are 1080p25/30, 720p25/30 and 640x480p25/30. Switch to AVCHD format and the options are 1080p50/60 at 28Mbit/s, 1080i50/60 at 17Mbit/s (from 50p sensor output) or 24Mbit/s (from 25p sensor output), and 1080p24 at 24Mbit/s. The FZ330 / FZ300 can also shoot 720p movies at 100fps for slow motion playback at a quarter real time speed and 640 x480 at 200fps for playback at 1/8th speed. It’s good to have these slow motion modes, but in this respect the FZ330 / FZ300 is comprehensively outclassed by the Sony RX10 II with its HFR modes. On the FZ330 / FZ300 you can shoot in PASM exposure modes, selected either from the video menu or by tapping the exposure mode icon in the top left of the screen when the mode dial is in the movie position. During recording you can change the exposure setting including, depending on the mode, aperture, shutter speed, ISO sensitivity and exposure compensation. While you can use the camera’s physical controls to alter the settings the touch screen provides a slide out panel allowing you to do so silently. You can also tap the screen to pull focus during recording. There’s a 3.5mm microphone jack, but unlike the RX10 II, no headphone socket; there’s also focus peaking and zebra patterns to help with focus and exposure. Video pros will welcome the presence of Cinelike D and V profiles, the former delivering fairly flat footage, ready for grading. There’s also a menu option that allows you to turn off the info display to allow the output of a ‘clean’ signal via the HDMI port. First off here’s the Lumix FZ330 / FZ300 in its 4k / 25p mode at 100 Mbit/s. For this clip the camera was mounted on a tripod and the stabilisation was disabled. The clip was shot at f2.8 with the ISO set to 100 and the lens was zoomed in to 76mm equivalent. For comparison purposes I have a version filmed in Cinelike D for subsequent grading, along with a 1080p version and for completeness a Cinelike D version of that too. See my Lumix FZ330 / FZ300 4k Cinelike D movie sample, Lumix FZ330 / FZ300 1080p movie sample and Lumix FZ330 / FZ300 1080p Cinelike D movie sample. For this hand-held panning shot the stabilisation was enabled and it does a great job of keeping things wobble-free during the pan and zoom and even at the FZ330 / FZ300’s maximum 600mm focal length. Here’s a version in 1080 / 50p. For this clip the camera was mounted on a tripod and the stabilisation was disabled. As in the previous clip, the quality of the Lumix FZ330 / FZ300’s video is excellent. For these clips I used the zoom rocker surrounding the shutter release, but don’t forget, there’s a second zoom control on the lens barrel. Whichever you use, there’s a slightly off-putting grinding noise from the zoom motor. Here’s a version in 1080 / 50p. Here you can see the Lumix FZ330 / FZ300’s touch focus in action. Here I positioned the FZ300 / FZ330 on the table with the ketchup bottle in the foreground. With the aperture set to f2.8 I zoomed the lens in a little and tapped to set the focus on the ketchup bottle before pressing the record button. I then alternately tapped the screen in the region of the beer pumps on the bar and the ketchup bottle to shift the focus back and forth between them. The Lumix FZ330 / FZ300’s AF system gains a couple of improvements over its predecessor; it now works reliably in lower light levels – down to -3EV and it also supports Panasonic’s Depth by Defocus technology to deliver a quicker response and better continuous AF. Ordinarily, contrast detect AF systems in models like the FZ330 / FZ300 adjust the focus to try and achieve higher contrast in edge detail. But it’s difficult to determine which way to go – is the current focus position in front of or behind the subject? Contrast detect AF systems also find it difficult to know when the optimum focus point is reached, so they often go past the best focus position before returning to it. Depth by defocus profiles the out-of-focus characteristics of the lens in order to help overcome these problems, resulting in faster more confident focussing. It certainly seems to make a difference, I shot with the Lumix FZ330 / FZ300 in low light for a lot of the time I was reviewing it and I hardly ever had an issue with it. Other than at night and in the absence of lights it focussed quickly and accurately nearly 100 percent of the time. The AF responds very quickly, almost instantaneously in most circumstances and the only time there’s a perceptible delay is when fully zoomed in when the focus has to travel from close to distant and, as I already mentioned, in very low light conditions. Compared with the AF on the Sony RX10 II I’d say there’s very little to choose between them for single AF situations. In good light the RX10 II also focusses almost instantaneously, but when I compared the two with the same stationery subject the FZ330 / FZ300 seemed fractionally faster and it was a little more reliable in low light. Shooting moving subjects with the focus mode set to continuous is a bit more of a hit and miss affair though. I found the best results were achieved with the FZ330 / FZ300 set to custom multi mode using the central AF area grouping. In good light the FZ330 / FZ300’s contrast detect system, aided by Panasonic’s Depth by Defocus technology, can acquire and maintain focus on a moderately paced subject moving towards the camera with a better than 50% success rate. Once the light starts to fade, however, it becomes much less reliable. And you can expect the hit rate to fall pretty dramatically with faster moving and less predictable subjects like animals or football players. Comparing the Lumix FZ330 / FZ300 with the Sony RX10 II, I’d say that Depth by Defocus gives the Lumix a definite advantage over the RX10 II in lock-on AF mode when shooting moving subjects in good light. That said, neither comes close to the performance you could expect from even a modest DSLR or mirrorless camera equipped with phase detect AF. The FZ330 / FZ300 has no fewer than six focus modes, Pinpoint, 1-Area, Custom Multi, 49-Area, Tracking and Face Detection. Face detection can detect up to 15 faces and lock focus on one of them. Multiple AF uses 49 areas to determine the best focus regions and there’s a single area AF option with a resizeble AF area that can be moved around the screen. Additionally there are three AF styles, the usual AFS and AFC single and continuous modes are joined by a third AFF, or Auto Focus Flexible mode. This is designed for shooting subjects like children and pets that move in an unpredictable manner. Of course it’s great to have updated AF area modes, but it’s the touch screen that makes the biggest difference to focussing with the FZ330 / FZ300. You can of course simply tap the screen to position the AF area in single area mode. Custom Multi mode allows you to select a subset of the 49 areas arranged in a diamond configuration a single row or column, or a user defined pattern, then you simply tap the screen to position your AF grid. If I was to make a criticism of the touch focus operation it would be that it’s easy to inadvertently reposition the grid with your nose when using the viewfinder, particularly if, like me, you use your left eye. That said, you can always turn touch AF off, or just flip the screen inwards if it’s a problem. Manual focusing is selected with a three-position switch on the rear panel to the right of the viewfinder which is also used to choose between continuous and single or flexible AF. The focus is then adjusted using the second control dial on the lens barrel. For manual focus the FZ330 / FZ300 offers the usual array of focusing assistance including a distance scale, MF assist (which you can choose to display as a picture-in-picture inset or full-screen), magnification and peaking. In combination these features makes manual focus altogether much easier than it was on the earlier FZ200. The Lumix FZ330 / FZ300 also supports face recognition. Up to six faces can be stored along with name, D.O.B. and a custom AF icon. Focus and exposure are prioritised on recognised faces which can be registered manually, or you can set things up so that the camera automatically registers frequently shot faces. It’s a feature that’s popular on Panasonic’s compact range and undeniably great fun to see the names of people appear below their faces when they’re recognised. While I was in the middle of my review of the FZ330 / FZ300 Panasonic announced a firmware update adding the new Post Focus feature to the Lumix FZ330 / FZ300 as well as the mirrorless GX8 and G7 models. I’m going to concentrate most of this section on Post Focus and refer you to previous reviews if you want more detail on 4K Photo – such as Gordon’s Lumix GX8 review. Essentially Post Focus uses the 30fps 4K shooting mode to focus bracket a rapid sequence of images. Post focus mode is selected from the Rec menu, but can be assigned to one of the function buttons – I used the Fn2 button on the top panel. When selected you obviously can no longer set the AF area, but the PASM and other shooting modes can be set in the usual way as can the ISO sensitivity. The only limitation is the slowest available shutter speed which, as for other 4k shooting modes is 1/30. When the shutter is pressed the FZ330 / FZ300 fires a short burst in 4k mode using the electronic shutter. The burst varies in length from a very short fraction of a second to about one second, depending on the nature of the subject and the number of focus planes the FZ330 / FZ300 decides to include. The camera then takes a short while to process the results before displaying a composite on screen. There are two ways you can manipulate this to produce a JPEG for output. You can simply tap the screen to select the focus point. If a green rectangle appears, you’re in luck, if the rectangle is red the FZ330 / FZ300 didn’t record a frame with the focus set at that specific point. In practice, this didn’t happen very often, and when it did it was sometimes the case that there was another point in the image that was recorded where the focus was in the same plane. The second option is to zoom in to an area you want in focus and drag a slider at the bottom of the screen which cycles through all of the bracketed frames. Pressing the Fn2 button toggles peaking in either mode. When your magnified selection is sharp, you’re all done and can export the JPEG. The examples above and below were shot using the Post Focus feature and selected and exported as JPEG files in the camera. The Post focus clips are saved as .mp4 files so if you keep these you can always grab a frame later using video editing software, but it’s much simpler to do in the camera. So is it a feature worth having? Well, it depends. There are a number of situations in which I think Post Focus could be useful. The first is as a compositional aid – if you’re not a hundred percent sure where you want to focus you can put off the decision until later. Most of the examples you’ll see of this feature, including mine, demonstrate this aspect of the feature. In these situations I’d probably shoot a full resolution version with the focus where I thought it should be and add a Post Focus version as insurance. The second scenario where Post Focus could come in useful is for portraiture. If you’ve only got the opportunity for one or two shots and you want to make sure you’ve got at least one frame that’s sharp where it should be, Post Focus might be your best option. Before trying it out it I was a little concerned that shooting hand-held and with a model that was in motion Post focus might be ineffective, but it turns out that even for difficult subjects like pets, you can rely on getting at least one frame with the focus on the face or eyes. The reason you don’t need to worry about subject or camera movement is that the FZ330 / FZ300 isn’t stacking these images, merely shooting a bracketed sequence, or rather a video clip, from which you select a single frame. Judging by the way AF frames appear on screen during the sequence, focus is determined progressively during the sequence rather than at the start. If you’re unlucky it’s possible that the in-focus frame will be the one where your subject blinks or adopts an unfortunate facial expression, but that aside, there’s no reason you shouldn’t get a good result even with a moving subject. Finally, Post Focus can make a difference to your macro shots. When you’re very close in on a subject, particularly one that’s moving (it doesn’t even have to be alive, the leaves in my example above were constantly on the move thanks to the wind) it can be difficult to pinpoint the focus and very shallow depth of field makes precision essential. Finally I should talk about the Lumix FZ330 / FZ300’s Creative Control filter effects. In the three years since the FZ200 Panasonic has introduced some new ones so, in addition to the original line up of Expressive, Retro, High Key, Low Key, Sepia, Dynamic Monochrome, Impressive Art, High Dynamic, Cross Process, Toy Effect, Miniature Effect, Soft Focus, Star Filter, and One Point Colour you can now add Old Days, Dynamic, rough and Silky Monochrome, Toy Pop, Bleach Bypass, Fantasy and Sunshine. I’ve included examples of some of the new ones, including all three monochrome options below. As you’d expect, the FZ330 / FZ300 has Wifi support that allows you to wirelessly transfer images from the camera and operate it remotely using a smartphone. Unlike many recent Panasonic models it doesn’t have an NFC chip, that’s not a huge drawback though, as you can quickly establish a connection by scanning a QR code displayed on the FZ330 / FZ300’s screen. Wifi allows you to wirelessly browse the FZ330 / FZ300’s images on the larger and more detailed screen of a smartphone or tablet, copy them onto these devices, upload them to online storage or social media services (either directly or via a smartphone), or become remote-controlled using the free Lumix Image app for iOS or Android devices. Once your phone or tablet is connected to the FZ330 / FZ300, you can remote control it, browse the images direct from the memory card, copy them onto the handset and if desired send them onto various storage or sharing services. You can also set the app to make a GPS log for subsequent syncing and tagging, create a snap movie, or photo collage. It’s slightly disappointing that you can’t change the drive mode remotely, that has to be done using the dial on the camera, however once you’ve set a drive mode it is then possible to alter, say, the continuous shooting speed, or self-timer delay. You can even select the new post focus mode, though you can’t transfer the post focus mp4 clips via the app. The Lumix FZ330 / FZ300 can also upload images directly to the internet by itself via a suitable Wifi connection. You can upload directly to Facebook, Twitter, Picasa, Youtube, Flickr, but there’s two gotchas. The first is the camera doesn’t have any kind of built-in browser to accept the terms and conditions of public hotspots, so you’ll mostly be using home or office-based Wifi. 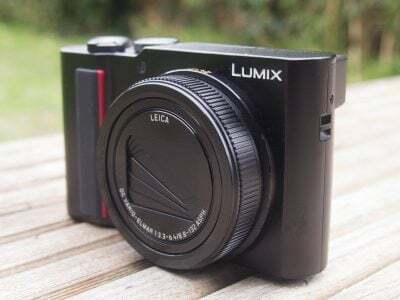 The second problem is before letting you upload anything directly from the camera you’ll first need to register for Panasonic’s free Lumix Club. Finally, the Lumix Image app allows the FZ300 / FZ330 to inherit the fun Jump Snap feature introduced with the GF7. 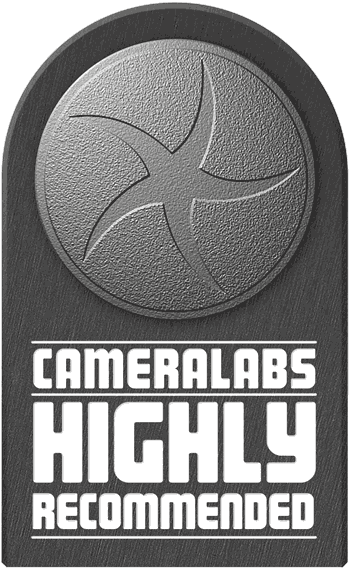 This uses the accelerometer in your phone to trigger the shutter remotely as you jump in the air. It works surprisingly well too. Using the app you can remotely view the composition and refocus the camera if necessary, before then setting the sensitivity of the jump detection. After a little fine-tuning of the sensitivity you’ll be able to capture the perfect moment when you’re at the top of your leap. It’s a really fun way to exploit the technology in your pocket. The Sony RX10 II’s Wifi implementation is broadly comparable with the FZ330 / FZ300’s. The RX10 II has NFC for quick and easy connections and provides remote control as well as upload to a smartphone. Out of the box its image transfer features are on a par with the FZ330 / FZ300’s. Its remote shooting out-the-box is fairly basic, but if you go to the trouble of updating the embedded app, you get manual exposure control and other features. Plus of course, the RX10 II’s ability to work with apps downloaded from the PlayMemories store means you can add new features like time-lapse and advanced bracketing.